SINCE ITS INCEPTION almost 75 years ago, Tata Memorial Hospital, Mumbai, has been a mecca of sorts for most cancer patients across India. But, as Dr V.R. Ramanan, deputy director, medical, Tata Medical Center, pointed out, 60 per cent of our country’s medical facilities are located in the south. “Kerala, with a population of three crore, has 19 cancer hospitals, whereas Bengal, with a population of nine crore, had only one and a half cancer hospital,” he said. While the east and the northeast see many cancer cases, there are not enough centres to treat them. 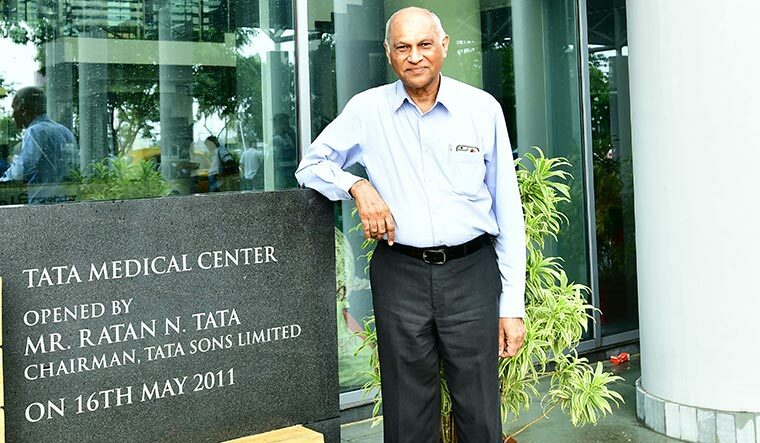 Aware of this disparity, Tata Sons chairman emeritus Ratan Tata donated 14 acres towards a world-class cancer hospital in Kolkata. 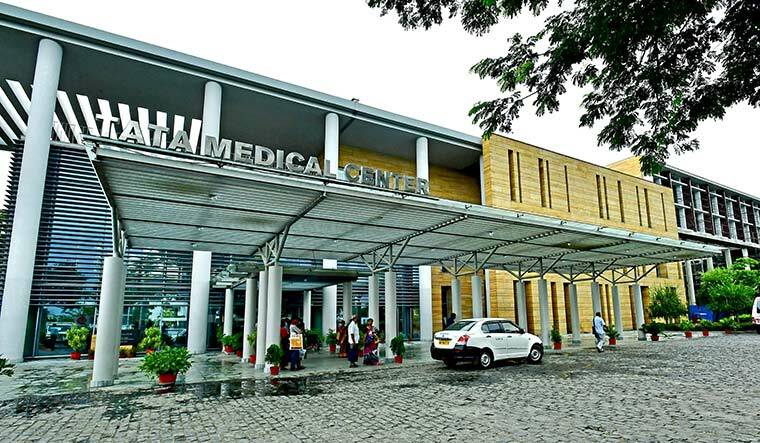 Designed by architects at CannonDesign, the Tata Medical Center, costing Rs 340 crore, was inaugurated on May 16, 2011. With a built-up area of 3.30 lakh sqft, it could then accommodate 167 beds (now 183). By the end of this year, the centre will get another building, with a built-up area of 2.50 lakh sqft, taking the number of beds to 254. A not-for-profit venture, the centre has full-time doctors. “We have more than 200 doctors and 320 nurses—a ratio not available anywhere on this planet,” said Ramanan. A bachelor’s degree in nursing is a must here, and the centre has a postgraduate nursing programme, too. The best in the batch are sent to Duke University, United States, for training. The centre has also provided free training to around 30 doctors from the Bangladesh army, 15 doctors from Nepal and also from Bhutan, Tanzania, Ethiopia and Palestine. The centre gets patients from hospitals abroad, too. “What they see in a month, we see in a day and a half,” said Ramanan. Chandy added that the centre has a state-of-the-art molecular diagnostic system and a central sterile supply department, which was rated the best in the country by the prime minister’s office (PMO). The centre is also equipped to conduct stem cell transplants, and is, therefore, looking at diseases like thalassemia, too. It also has a national childhood leukemia programme. While the Tata Memorial Hospital, Mumbai, gets a Rs 400-crore grant from the PMO every year (which is why it offers free services), the Tata Medical Center receives an annual subsidy of Rs 90 crore. “We do not offer anything for free, but we do heavily subsidise,” said Ramanan, adding that donors, too, pitch in with funds. Waiting lists are a crime when it comes to cancer, said Ramanan, as you cannot delay treatment. Also, it is a time-consuming process. “We are not doing cataract, that you come in and you are out in one hour. We are treating cancer! You stay here for two weeks to four months,” he said. In 2017, the centre saw 17,000 new patients apart from 1.6 lakh old patients. “That is the rate of followup in cancer. Cancer is a long-distance game. You have to keep coming,” said Ramanan. For patients travelling from far-flung places, the centre has a ten-storey residential facility nearby—Premashraya—where 500 patients or their kin can stay during treatments for Rs 100 a night. Built on an acre with a CSR contribution of Rs 45 crore from Coal India, it is a beautifully maintained facility with 24/7 housekeeping, security, customer care, technical team, cafeteria, store and ATM. Sudeshna Dutt, head of operations, Premashraya unit, Tata Medical Center, and her team ensure that patients and their families get ample emotional and mental support. Assisting them are Sister Genevieve and two nuns from the Daughters of the Cross Convent, Kidderpore. “Many new patients come here. It is an unknown place for them. I speak to them, and familiarise them with the people and the place,” said Sr Genevieve. She also gives patients company when their relatives step out to buy food or medicines. And, in their final moments, she prays for them, helping them “prepare for a peaceful death”.